Lincoln of Troy is an automobile dealership located in the prestigious Troy Motor Mall. In 2017, they decided to renovate their space and refresh their image. 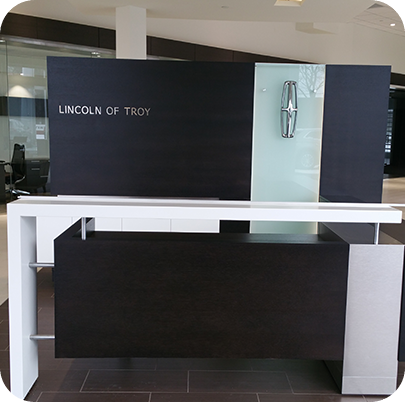 After receiving several competitive quotes, OFS was chosen by the leadership team at Lincoln of Troy to furnish their dealership. 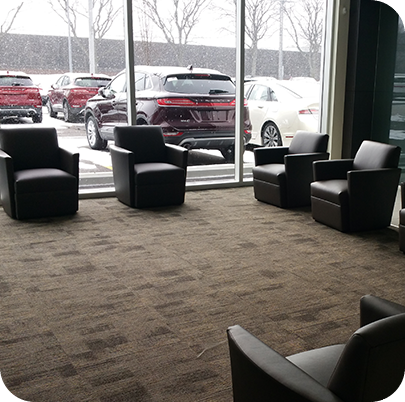 OFS worked hand in hand with the dealership to make sure that the renovations reflected their goals and were in keeping with the Lincoln standards. 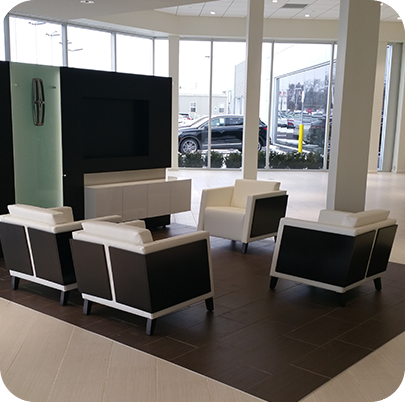 OFS provided furniture for all areas of the dealership, including custom sales desks with granite countertops attached to Teknion Expansion desk bases. 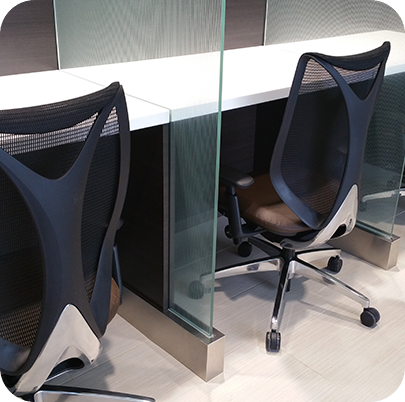 When we renovated our dealership, we chose to partner with Office Furniture Solutions to furnish it. 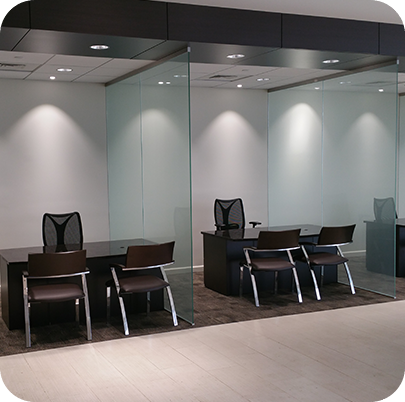 We chose OFS for three reasons, Their Product and Design offering, Competitive Pricing, and ability to respond quickly to our project timeline. 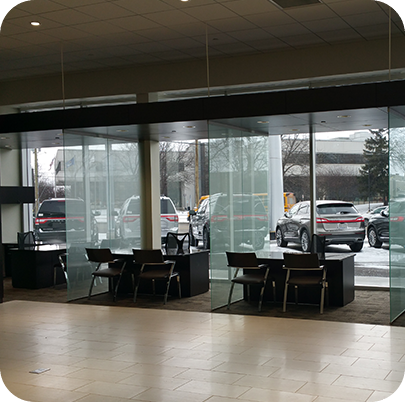 OFS Exceeded our expectations in all three of these areas, and we would be happy to recommend them to anyone looking to furnish an automotive dealership in the future.